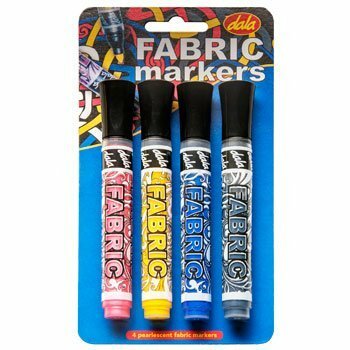 Dala pump action, pearlescent Fabric Markers are made from quality ingredients and are simple to use. Suitable for use on most fabrics. Shake markers well befor use. Ensure that your garment or fabric is clean and dry. Protect any areas you do not wish to colour. Add colour to your fabric or garment. Allow to dry for 20 - 30 minutes. This item has 1566 views.